In December of every year, at venues large and small, people flock to see performances of The Nutcracker. In The Nutcracker Comes to America, Chris Barton tells the story of how this ballet, which originated in Russia, came to the United States and was first performed in the middle of the twentieth century. Gorgeous illustrations from Cathy Gendron help bring this story to life. 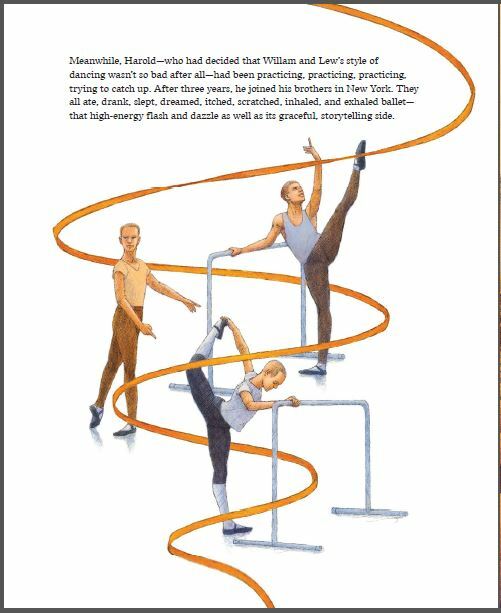 So obviously what happened next is that this story was adapted into the ballet, right? Wrong. Next, French author Alexander Dumas–known for works including The Three Musketeers and The Count of Monte Cristo–adapted Hoffmann’s story, making it a bit less dark than the original tale. At the end of Hoffmann’s story, Marie decides to marry the nutcracker and become his queen, but in Dumas’s version, she returns to her home and family. Dumas’s story was then adapted into a ballet with choreography by Marius Petipa and Lev Ivanov and music by Peter Ilyich Tchaikovsky. As best I can tell, this is the point at which our protagonist Marie is rechristened Clara. 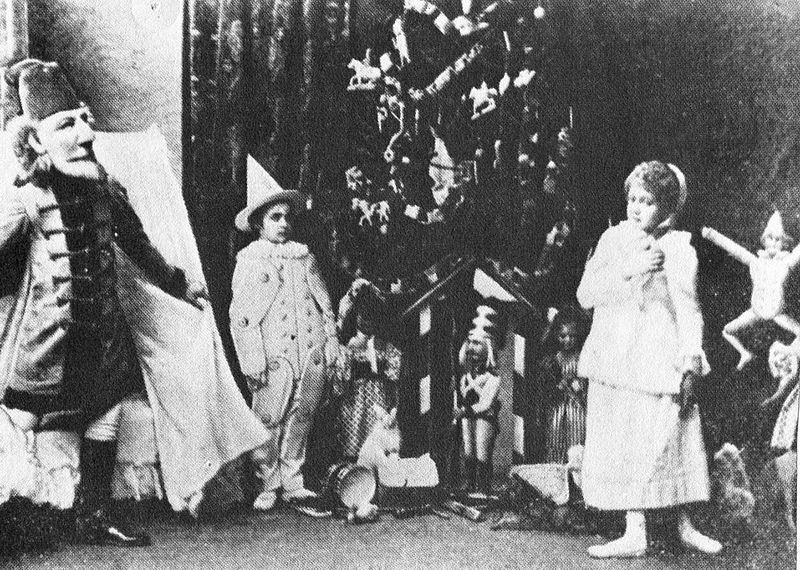 In 1892, a week before Christmas, The Nutcracker ballet premiered at the Mariinsky Theater in St. Petersburg, Russia. More than thirty-five years later, in 1919, Moscow’s Bolshoi Ballet puts on a new production of The Nutcracker, and that one was better received. So who brought this Russian ballet to the United States? Why, three brothers from Utah! These weren’t just any brothers, mind you, they were the Christensen brothers, and they’d been dancing for years before they first staged the full ballet in San Francisco on Christmas Eve, 1944. The ballet was a total success, right? Wrong again! The San Francisco Ballet performed The Nutcracker for the second time in 1949, and it was at that point that its popularity began to spread and it became a beloved annual tradition. And to think it all started with a story published 200 years ago! 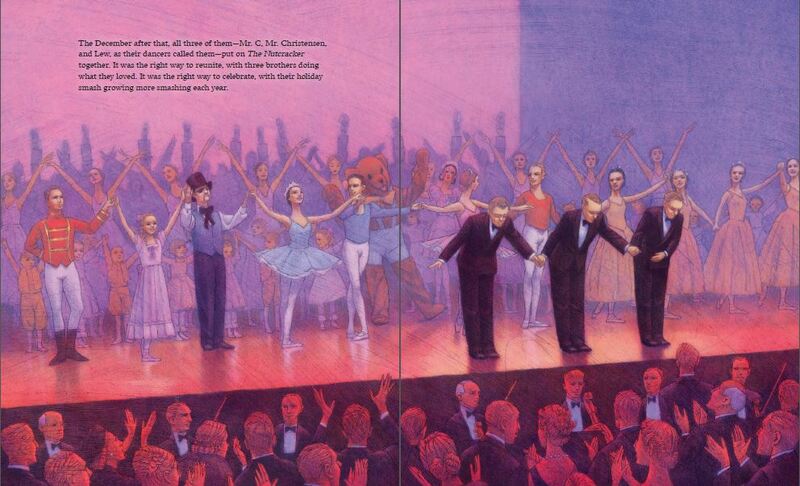 Bonus fun fact: Maurice Sendak created the sets and libretto for a version of The Nutcracker ballet, which the Pacific Northwest Ballet first performed in 1983. You can read more about it–and see some great photos–here. Who knew? Not I. I just assumed that E. T. A Hoffman's version came AFTER Tchaikovsky's ballet. Thanks for the lesson!